Letter from Bolivia : UOS, be Ambitious! On Mar. 27, the national government appointed 14 ambassadors to its foreign service. 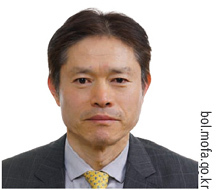 One of these, Jong-cheol Lee, newly appointed Ambassador to Bolivia, is an alumnus of Dept. of International Trade, ’84, the University of Seoul (UOS). In an interview with The UOS Times, Lee talked about his process toward attaining an appointment as ambassador and told us a bit about the country he will be working in, Bolivia. He was happy to speak with us, and he offered some advice and words of encouragement for UOS. students. Bolivia lies at the center of South America. It has five times more area than the Korean peninsula, with a population of 10 million, 70 percent of whom are indigenous. 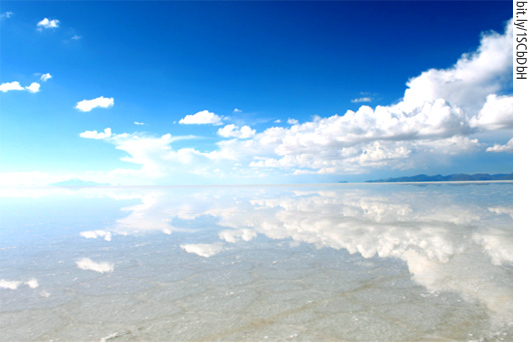 It is also rich in resources - the Salar de Uyuni, for example, which is the world’s largest salt flat, providing a vast source for lithium. In addition, Bolivia and Peru share the world’s highest navigable lake, Titicaca, which straddles the border between the two countries. Lee recounted how, before going to Bolivia, he had heard about the negative experiences of his colleagues who had worked there. The difficulties of the altitude were the most common challenge. Experiences were not so good, yet he had also heard that it was a very beautiful country. Mountains have permanent snowcaps. He remembered that soon after arriving, he saw the Moon and Mars with striking clarity. The economic standards of Bolivia are similar to Korean standards in the mid-1970s, but Lee pointed out that we cannot disregard the country’s potential. It has steadily recorded more than five percent economic growth. Neighboring states - for example, Brazil, Argentina, and Venezuela - have had trouble with financial conditions as the prices of crude oil and raw materials decline, but they have still achieved immense economic growth based on solid foreign-currency holdings. In Bolivia, investment in infrastructure such as thoroughfares and fertilizer plants are enormous, and this creates favorable conditions for Korean companies to enter. How to begin as an ambassador? Q Did you apply to become an ambassador? Or were you assigned to the post? A One who wants to become an ambassador should be promoted gradationally through at least 20-30 years. Recently, qualifications in several languages and skills as an executive have become more required. Top diplomats also have to pass examinations in mandarin and an examination of qualifications to be chief of a newly appointed official residence. Most recently, because of public demands for transparency, personal verifications of private conduct and inspections of property have also been enacted. Q Were you able to choose your country of assignment? A Newly appointed diplomats go overseas to study within two or three years of joining the Ministry of Foreign Affairs. At this moment, their assignments are granted in accordance with the language and nation they have chosen for their study. In my case, I selected Spain and majored in International Relations at the diplomatic school in Madrid. Even after this, I worked in Spain, Mexico, and Guatemala, and these assignments helped me to gain my new post as an ambassador in Bolivia. Q How did you feel when your appointment was granted? A Actually, I did not expect to be appointed as an ambassador to Bolivia. I had been hoping for an assignment to a country where circumstances were perhaps better than in Bolivia. Bolivia is the only country in Central and South America with poor working conditions for diplomatic corps, and it is designated as a special region in diplomatic terms. I work in La Paz, the capital of Bolivia, with an average elevation of 3,700 meters, so I expect to worry about altitude sickness. 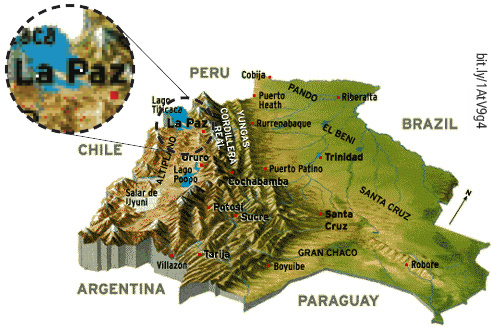 Q Tell us about one of your most interesting experiences since arriving in La Paz. A Three weeks after arriving, I suffered from severe altitude sickness. I had a headache, vomiting, insomnia, and inflamed eyes. I have gotten better now because I acclimated to some degree ? however, these symptoms recur if I overwork. I met the new Chinese ambassador who was also inaugurated a few weeks ago, and he gave me some advice. He said that just staying healthy is the best way, but I also have to continue to do my best for Korea and its national interest. Lee demonstrates great ambition for the status of Korea. 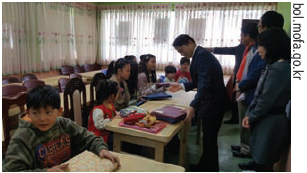 He talked about his plans to reduce starvation and illiteracy for Bolivia itself, but also about pushing ahead with Korean enterprise within Bolivia. Beyond this, he said that he will concentrate on cultural exchange and public relations. The Korean film festival commemorating 50 years of Korean-Bolivian ties is one of these cultural events.